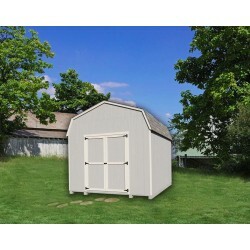 Shop our Amish wood shed kits from Little Cottage Company in many sizes and designs. Free Shipping on all orders! This Little Cottage Co. Classic Wood Cottage 8x8 is ideal as a shed, workshop, or even a playhouse for your kids. This Little Cottage Co. Classic Wood Cottage 8x10 is ideal as a shed, workshop, or even a playhouse for your kids. This Little Cottage Co. Classic Wood Cottage 8x12 is ideal as a shed, workshop, or even a playhouse for your kids. This Little Cottage Co. Classic Wood Cottage 10x10 is ideal as a shed, workshop, or even a playhouse for your kids. This Little Cottage Co. Classic Wood Cottage 8x14 is ideal as a shed, workshop, or even a playhouse for your kids. This Little Cottage Co. Classic Wood Cottage 10x12 is ideal as a shed, workshop, or even a playhouse for your kids. 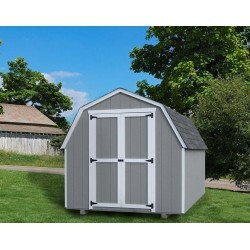 This Little Cottage Co. Classic Wood Cottage 10x14 is ideal as a shed, workshop, or even a playhouse for your kids.